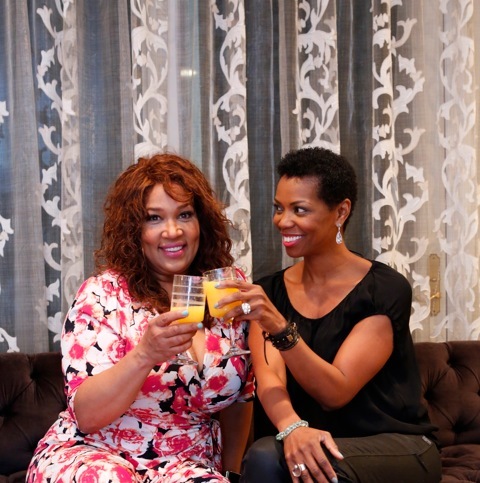 Kym Whitley and Vanessa A. Williams from Showtime’s Soul FoodÂ are fans of our Client Elegant Portions. Elegant Portions offers a common-sense approach to portion control which is discreet, effortless and elegant.Â Clear glass pieces have subtle frosted lines to indicate healthy serving sizes. WithÂ Wine-TraxÂ®Â the measuring wine glass,Â Snack-TraxÂ®Â the measuring snack bowl,Â and Meal-TraxÂ®Â the measuring dinner plate, there is no more need for weighing and measuring, and they are attractive enough to serve to guests! Check them out at ElegantPortions.com! Celebrity endorsements and/or photos of celebrities with products give companies an added credibility which leads to greater growth. Imagine going into a meeting with a potential investor or retail store buyer, and sharing pictures of your product photographed with celebrities who are now FANS of your product! It would help seal the deal. ChicExecs PR, developed by entrepreneurs who launched the successful brand offers opportunities to get your product photographed with celebrities. Check out some of our celebrity photosÂ HERE. Note: To receive celebrity photos with your product, visitÂ www.chicexecs.com/public-relations.